Tuesday, 13 November 2018: Arrabawn has welcomed the decision by Tipperary County Council to grant permission for works that will facilitate a three year, €30million investment programme at its Nenagh headquarters. 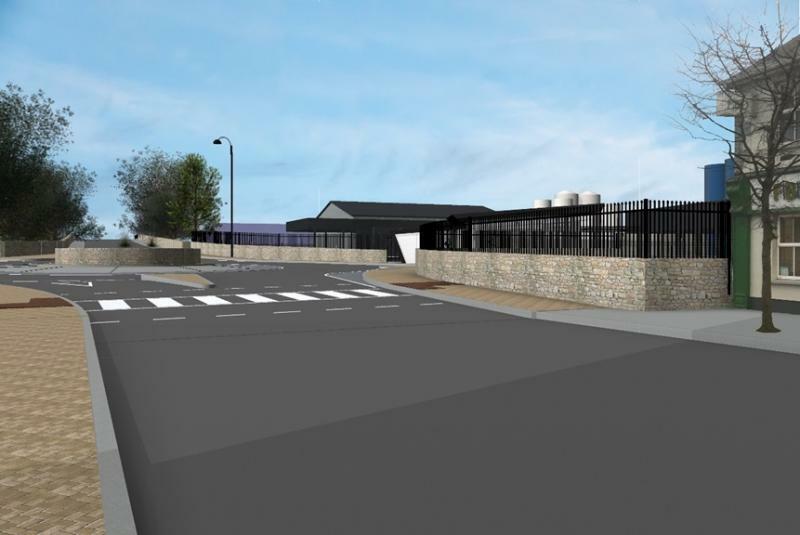 A key element of the programme will be the relocation of the entrance to the Martyr’s Road round-about side of the plant from its current Stafford Street access. The state-of-the-art new access will be facilitated by the demolition of two disused buildings acquired by Arrabawn, the Railway Bar on Kenyon Street and the old Sutton’s Yard site on Stafford Street. The new, streamlined access will remove the vast majority of co-op bound heavy and light goods vehicles from Stafford and Kenyon Street junction, relieving much of the traffic congestion in this area. Furthermore, the plans will also see the development of a new footpath on Stafford Street to run along by the Arrabawn site. On the production side, the investment will also include a casein plant extension that will increase processing capacity by 50%, as well as the completion of the upgrade works to the new effluent plant that commenced last year. The programme is a continuation of the €22m eight-year programme of investment that has seen Arrabawn transformed into a modern, international standard dairy processing operation. It also in keeping with the company’s status as a major employment creator and investor in Nenagh, following on from its €1.5million development of its purpose built, flagship retail store at Tyone. Said Arrabawn CEO Conor Ryan, “The granting of planning permission is welcome news for ourselves but also for the town of Nenagh and, indeed, our suppliers. This investment underpins Arrabawn’s future, ensuring we have a state-of-the-art plant that applies the very latest, environmentally sustainable technologies and one that is also market competitive. The Arrabawn CEO said that the new access to the co-op will be hugely beneficial to both the company and town.